Look Around You: How does your waterfront look? Is the streambank or shoreline eroded?� �Are tree roots exposed? What about the water itself? Are there algal blooms? Does the water look murky? Do you store compost or mulch near the water? �Do you mow your lawn down to the water's edge? Do you use the correct type of fertilizer in the appropriate quantity? Many activities we conduct near the waterfront, in our lawns and gardens and around our home, impact water quality. �These activities are even more critical to riparian homeowners because runoff doesn't have far to travel before reaching the water. ri-par-i-an: relating to or living or located on the bank of a natural �watercourse, such as a river or lake. When it rains or the snow melts, the water runs off streets, driveways, rooftops and lawns across the landscape and picks up various pollutants like oils, greases, nutrients, fertilizers and sediment. Impervious surfaces speed up the flow of runoff from the landscape and prevent water from soaking into the ground where it can be naturally cleansed by microorganisms that live in the soil. Many pollutants also can reach our waterways from soil erosion because many chemicals readily attach themselves to soil particles. This contaminated runoff, known as non-point source pollution, flows without treatment into the nearest storm water drainage system. �This may consist of simple drainage ditches and swales, or infrastructure such as enclosed pipes, catch basins and detention ponds. If you live on a river, lake or stream, this runoff travels directly into the adjacent waterway much more quickly. Non-point source pollution comes from many different sources and is difficult to trace back to one source on the landscape. �Groundwater resources also can be impacted if toxins in runoff leach through the soil. Groundwater is water that is stored underground in the spaces between soil particles and fractured rocks. Groundwater is a source of drinking water for most of the residents in the Two Rivers Watersheds. Contaminants also can pass through surface water and into groundwater because these systems are interconnected.��Pollutants can impact water quality by harming fish and wildlife, impairing recreation (fishing, boating and swimming) and contaminating drinking water supplies. So, how do we prevent non-point source pollution from getting into the water? We can start by being aware that our actions DO impact water quality, especially if we live along the wate r's edge. �We can all make a difference by practicing Healthy Habits for Clean Water. 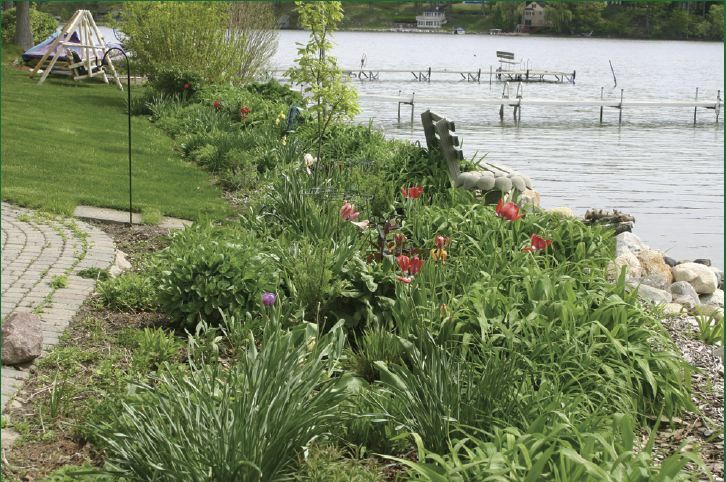 Given that the number one source of water pollution today comes from storm water runoff that enters our lakes and streams without prior treatment, waterfront property owners have a special responsibility to protect our water resources. They are at the frontline of preventing pollution from property directly adjacent to our waterways. Although all human activities in a watershed can affect the water quality of our lakes and streams, activities adjacent to riparian zones are most critical. The information on this page was produced by the Oakland County WRC Environmental Team with the help of a federal grant through the Rouge River Wet Weather Demonstration Poject.� The following pamphlets for waterfront property owners which outline a variety of actions to protect water quality and wildlife, as well as property values and the quality of life enjoyed by residents of the Two Rivers Watersheds and watersheds everywhere.